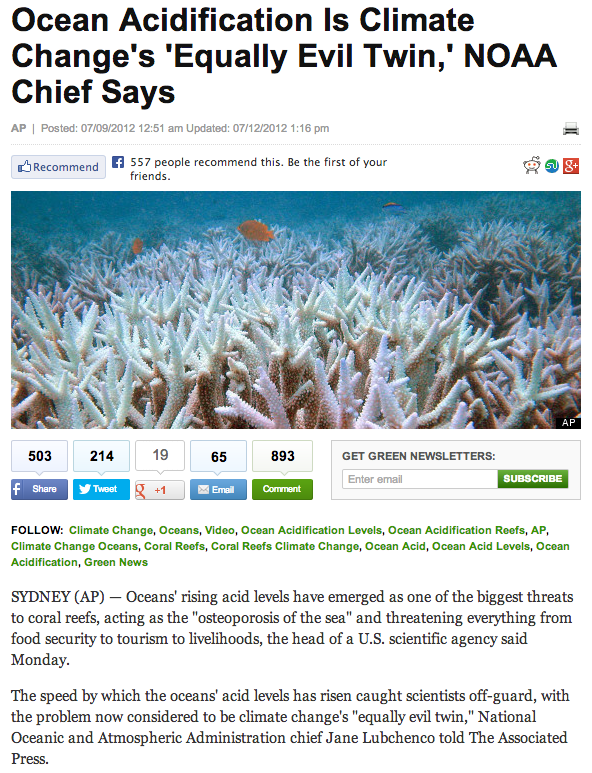 Climate experts tell us that 0.0001 mole fraction Mann-made CO2 is going to make corals extinct. Ignoring their adherence to the global warming religion, 0nly a complete moron would believe this – because during warmer times the range of corals expands. During the Silurian Era, global temperatures were 13C warmer, CO2 was 10X higher, and corals grew in Greenland. Over the weekend, mainstream media outlets published news stories regarding the recent leak of an Intergovernmental Panel on Climate Change (IPCC) summary document. In Germany, Der Spiegel also emphasized the food angle. The Associated Press, meanwhile, advised that a “scientific report forecasts” that “starvation, poverty, flooding, heat waves, droughts, war and disease” will be exacerbated by climate change. When I looked at this summary, however, it wasn’t the IPCC’s prose that caught my attention. It was the less obvious, subterranean story beneath the surface. 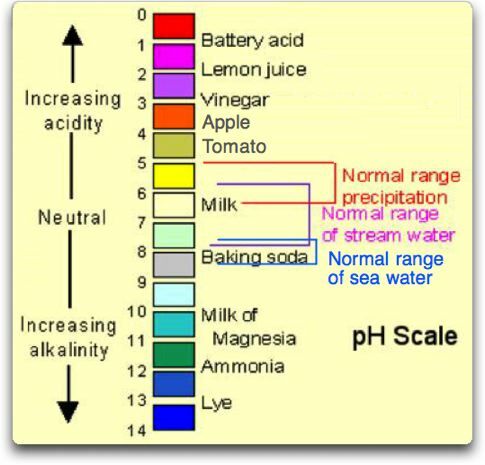 IPCC and alarmist claims of ‘ocean acidification’, causing harm to corals and affecting food security due to increased human CO2 concentrations in the ocean, are completely unsubstantiated by empirical evidence and peer-reviewed science. Another CO2 scare flops. The IPCC alarmist predictions about harm to corals from CO² are unfounded. Again, nature is not cooperating with the IPCC’s scare-mongering. Coral reef recovery from major disturbance is hypothesized to depend on the arrival of propagules from nearby undisturbed reefs. Therefore, reefs isolated by distance or current patterns are thought to be highly vulnerable to catastrophic disturbance. We found that on an isolated reef system in north Western Australia, coral cover increased from 9% to 44% within 12 years of a coral bleaching event, despite a 94% reduction in larval supply for 6 years after the bleaching. The initial increase in coral cover was the result of high rates of growth and survival of remnant colonies, followed by a rapid increase in juvenile recruitment as colonies matured. We show that isolated reefs can recover from major disturbance, and that the benefits of their isolation from chronic anthropogenic pressures can outweigh the costs of limited connectivity.